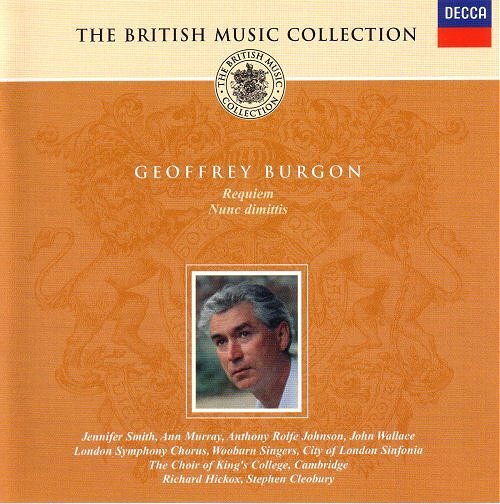 While I was travelling last week the sad news came of the death of Geoffrey Burgon aged 69. Predictably the mainstream obituaries focussed on his music for the screen at the expense of his concert scores. As I wrote back in 2007, "Although his film and TV scores are well known, Burgon's concert music isn't heard often enough to generate letters of complaint these days. His choral Requiem is a genuinely forward looking work, wonderful scoring, and beautiful Kingsway Hall sound". Geoffrey Burgon was a distinctive voice who was not afraid to speak out pour encourager les autres. He will be missed. I thought full price (£11-£15 in UK) for the 37 minute CD of Matthew Herbert's "recomposition" of the Adagio from Mahler's unfinished Tenth Symphony was expensive. But I see that the cheapest remaining CD of Geoffrey Burgon's Requiem on Amazon is priced at £50! The MP3 download at £7.79 makes a lot more sense, even if it does compromise the gorgeous Kingsway Hall sound of the Requiem captured by Decca engineers James Lock and John Dunkerley working with producer Chris Hazell.